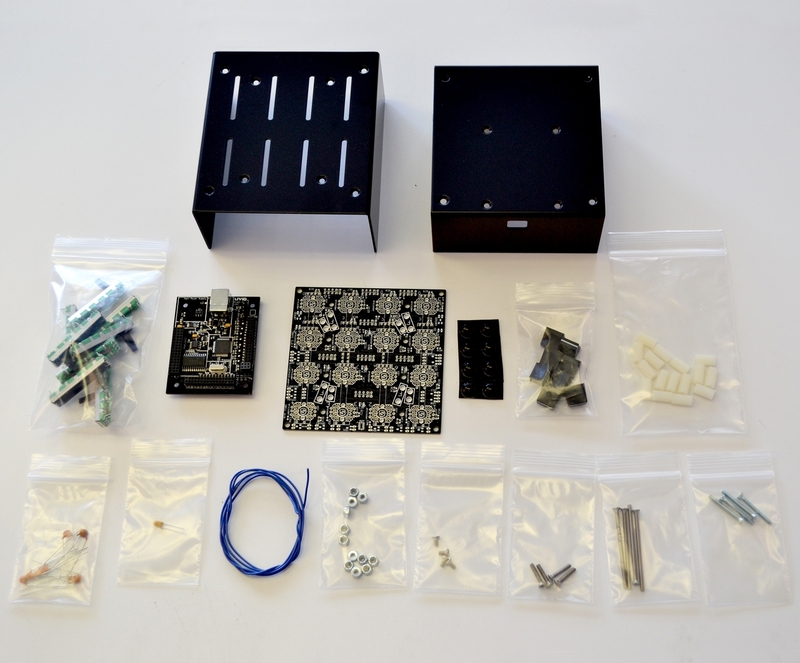 Fader Box is a DIY kit that includes everything you need to build a MIDI controller with 8 30mm faders. 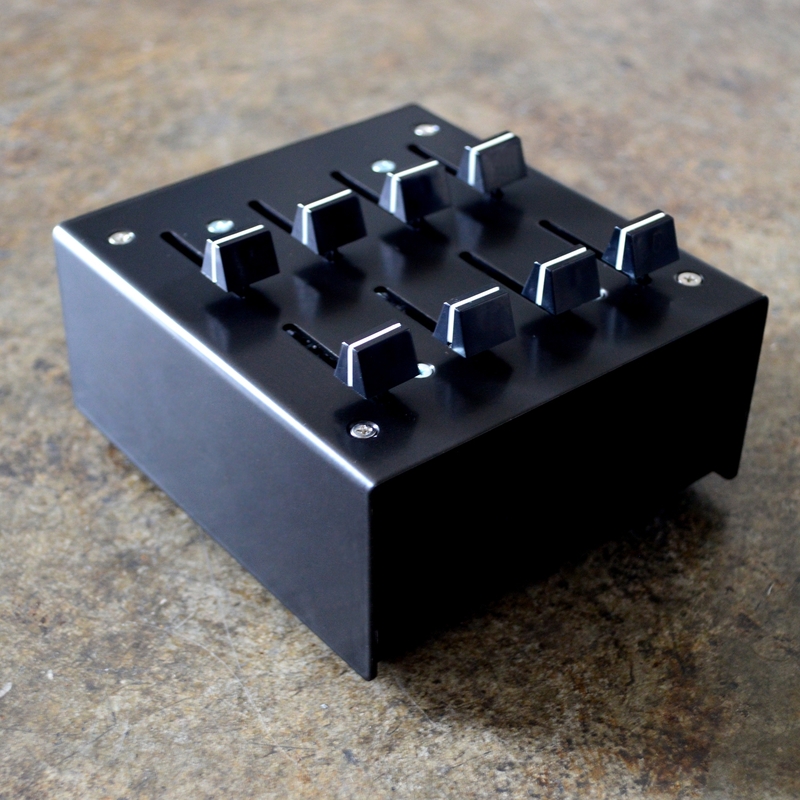 Fader Box is a class compliant USB MIDI controller and can be used to control audio, video, lighting, and more. 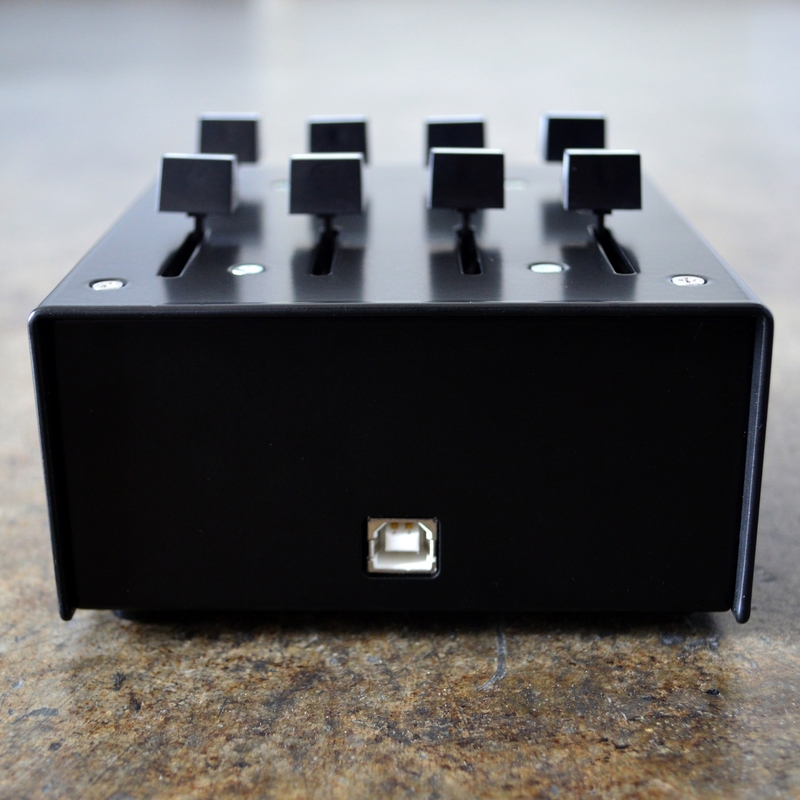 Fader Box is powered by a Brain Jr. and the MIDI settings can be customized using the Brain Configure editor. 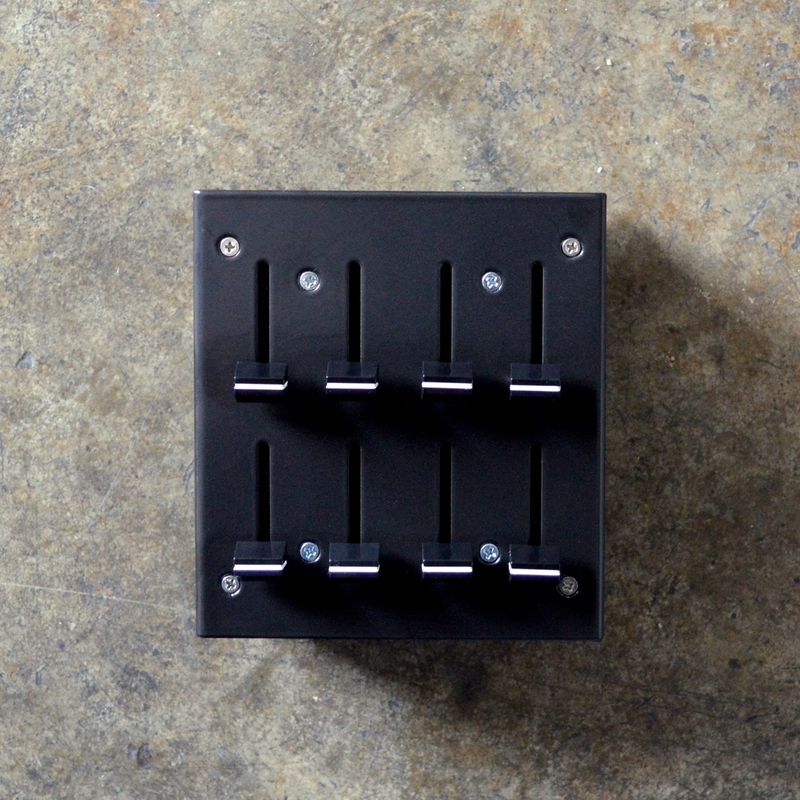 Fader Box ships unassembled and requires soldering and assembly with instructions from our easy step-by-step guide. Once built, MIDI map in your favorite software or use one of our free templates or scripts to start playing.